Enumeration can best be defined as the process of counting.The purpose of this type of effort is to map the network and systems to find ways to further exploit it or set up a plan of attack. The overall goal is to reduce the amount of information available to attackers who attempt enumeration for malicious purpose. Many routing protocols are proprietary. As an example, Cisco routers and switches use the Cisco Discovery Protocol (CDP). CDP is an OSI Layer 2 protocol that helps a network professional to manage a network. CDP sends updates every 60 seconds to a multicast address. It runs on all media that supports Subnetwork Access Protocol (SNAP), including LAN and WAN technologies, such as Frame Relay and ATM. RIP: three versions of RIP: 1, 2, and RIPng for IPv6. From a security perspective, RIP can be very problematic as it is not a sophisticated or high-security routing protocol. RIP updates; they are sent as User Datagram Protocol (UDP) datagrams to and from port 520. OSPF: The most common OSPF traffi c you will find is the OSPF HELLO packets. These are normally sent out about once every 30 seconds. Routers can use a relatively insecure protocol known as Trivial File Transfer Protocol (TFTP). TFTP can be used to hold router configurations. The TFTP server gives the router a place to put backup configurations or a place from which to pull a configuration if it needs to be rebuilt. The risk is that others may also be able to access the router configuration files. The second type, banner grabbing, is the most well-known method of enumeration. This method can generate a wealth of information. The three main services that may provide banners include FTP, Telnet, and web services. Unfortunately, NetBIOS is not supported on Windows Server 2008, Windows 8, or subsequent versions of Microsoft operating systems. On older operating systems, such as XP, it can be removed by disabling the Alerter and Messenger services on individual systems. Server Message Block (SMB) makes it possible for users to share fi les and folders; Interprocess Communication (IPC) offers a default share on Windows systems. The IPC share is used to support named pipes that programs use for interprocess (or process-to-process) communication. Because named pipes can be redirected over a network to connect local and remote systems, they also enable remote administration. By default, newer operating systems such as Windows 8, Windows 10, Server 2008, and Server 2012 are not vulnerable to a null session attack. C:\>net use \\192.168.0.100\ipc$ "" /u:""
DumpSec is a Windows-based GUI enumeration tool from SomarSoft, and is available from www.systemtools.com/somarsoft/?somarsoft.com. DumpSec enables you to connect remotely to older Windows machines and dump account details, share permissions, and user information. ■ Rpcclient —Using rpcclient , the attacker can enumerate usernames, for example, rpcclient $> netshareenum . ■ Showmount —Displays a list of all clients that have remotely mounted a filesystem from a specified machine in the host parameter. ■ Finger —Enumerates the user and the host. This command enables an attacker to view the user’s home directory, login time, idle times, office location, and the last time they both received and read mail. It is rarely found but is still worth a try. ■ Rpcinfo —Helps to enumerate RPC protocol. This command makes an RPC call to an RPC server and reports what it finds. ■ Enum4linux —Enumerates information from Windows and Samba systems. The application basically acts as a wrapper around the Samba tools smbclient, rpcclient , net, and nmblookup . Attackers are interested in SNMP for the same reason as network managers: because SNMP can be used to manage and report on workstations, servers, routers, switches, and even intelligent hubs. SolarWinds IP Network Browser—A GUI-based network-discovery tool that enables you to perform a detailed discovery on one device or an entire subnet. This tool is not free. The SNMP enumeration countermeasures include turn off SNMP if not needed, block port 161 at network checkpoints and upgrade to SNMP version 3. Group Policy security option, Additional Restrictions for Anonymous Connections, which restricts SNMP connections. Finally, implementing ACL filtering allows access to your Read-Write community only from approved stations or subnets. User agent strings act as another method to fingerprint a client.These characteristics range from identifying the browser to the type of OS that it is running on. The user agent string is simply a line of text that is returned whenever your browser connects to a website. The user agent string is based on the specific browser you are using and the OS that is installed on your computer. One way to see who is tracking you is by installing Lightbeam. Lightbeam is a Firefox add-on that provides an interactive visualization that displays everyone to whom your browsing habits and data are sent. 1. Go to https://www.mozilla.org/en-US/lightbeam/ and download the Lightbeam add-on for Firefox. 3. Click the Lightbeam add-on to see a graphical representation of all the third parties your information is being forwarded to. Fingerprinting looks at the characteristics of a computer to examine unique attributes such as what plug-ins and software you have installed, the size and manufacturer of the monitor, and time zone, all the way down to the serial number of your hard drive. Fingerprinting is poised to be much more invasive than cookies ever were, as these items are not easily changed or modified. Attack surface is The sum of the different points (the “attack vectors”) where an unauthorized user (the “attacker”) can try to enter data to or extract data from an environment. 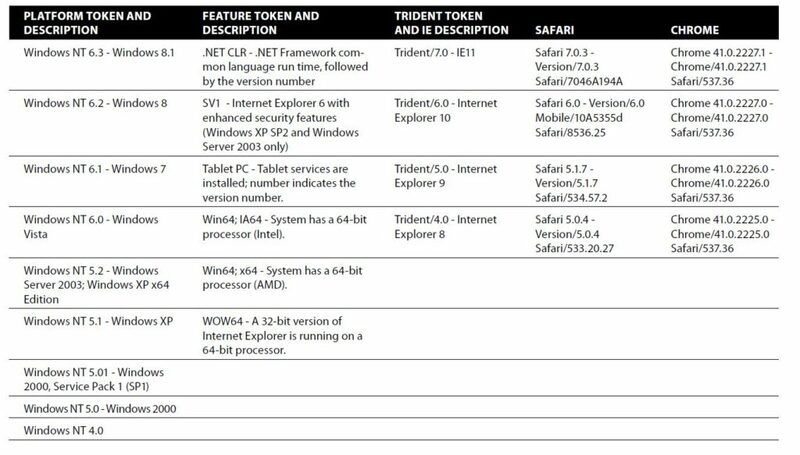 Windows stores usernames and passwords in the Security Accounts Manager (SAM) database. If the system is part of a domain, the domain controller stores the critical information. These hashes are stored in the local SAM database ( C:\Windows\System32\config\SAM file) or in Active Directory ( C:\Windows\NTDS\ntds.dit file on DCs). When the systems store the passwords, Older systems use a LAN Manager hash (LM hash). This approach had several weaknesses, including a maximum length of 14 characters and the fact that the password was actually stored in two seven-character fields. NTLM is more recent, and is actually a challenge-response authentication protocol that uses three messages to authenticate a client in a connection-oriented environment. NTLM can support passwords that are up to 127 characters long. The hash calculation remains the most common attack vector, techniques include dictionary, hybrid, and brute-force password cracking. Dictionary password attacks pull words from a dictionary or word list to attempt to discover a user’s password. A dictionary attack uses a predefined dictionary to look for a match between the encrypted password and the encrypted dictionary word. A hybrid attack also uses a dictionary or word list, but it prepends and appends characters and numbers to dictionary words in an attempt to crack the user’s password. These programs are comparatively smart because they can manipulate a word and use its variations. For example, consider the word password . A hybrid password audit would attempt variations such as 123password, abcpassword, drowssap, [email protected], pa44w0rd, and so on. Brute-force attacks use random numbers and characters to crack a user’s password. A brute-force audit on an encrypted password may take hours, days, months, or years, depending on the complexity and length of the password. this tool that allow it to crack OpenVMS passwords, Windows credential caches, and MySQL passwords. ■ Cain & Abel— A multipurpose tool that can perform a variety of tasks, including Windows enumeration, sniffi ng, and password cracking. The password-cracking part of the program can perform dictionary and bruteforce analysis and can use precomputed hash tables. Some passwords were considered secure because of the time it would take to crack them; sure, they could be cracked, but who was going to spend three months trying? This theory no longer holds true. Another approach is to use a rainbow table. It works by precomputing all possible passwords in advance. Upon completion of this time-consuming process, the passwords and their corresponding encrypted values are stored in a file called a rainbow table. Encrypted passwords are loaded, and a search for the password hash is performed. When a match is found, the password is revealed. Typically, this takes only a few minutes. One tool that will perform a rainbow attack is Ophcrack. This passwordcracking tool implements the rainbow table technique just discussed. It has several tables that can be downloaded, and you can search the web for others. What is most important to remember is that if a password is in the table, it will be cracked quickly. The Ophcrack website also lets you enter a hash and reveal the password in just a few seconds. KerbCrack, a tool from www.ntsecurity.nu , can be used to attack Kerberos. It consists of two separate programs. The first program is a sniffer that listens on port 88 for Kerberos logins; the second program is used as a cracking tool to launch a dictionary or brute-force attack on the password. Vulnerabilities are typically reported as Common Vulnerabilities and Exposures (CVEs). CVEs are weaknesses or holes in your computers and other equipment that can be exploited by hackers. When a CVE is reported, it is cataloged and named by the MITRE Corporation. While MITRE is in the process of researching a candidate CVE, the company creates a name for the candidate. CVE can be researched at http://nvd.nist.gov/home.cfm . 1. The attacker enumerates a system to determine which services and versions are running. For this example, suppose the attacker identifies the system as Red Hat Linux 6.1. 2. The attacker surfs the web for vulnerabilities for Red Hat Linux 6.1. Note that there are reported vulnerabilities for race conditions and the Programmable Authentication Module. 3. With several vulnerabilities discovered, the attacker now searches the web for exploit code. Packet Storm security (www.packetstormsecurity.org ) returns several matches that may work against the vulnerable site. 4. The attacker downloads the code and launches it against the vulnerable target. If it is successful, the attacker gains access. If it is unsuccessful, the attacker renews his search and tries another exploit. ■ Tricking the user into executing the malicious program. E-mail is a common attack vector. ■ Copying the code to the system and scheduling it to run at a predetermined time, for example, with the AT command. ■ Exploiting interactive access to the system, for example, with Terminal Server, PC Anywhere, or the like.